It has come as surprise to learn just how difficult it has been to generate wider interest in the banning of an innocent outdoor activity that remains on the bucket lists of many visitors to the Red Centre. Australian’s are pretty much asleep at the wheel on this. When they finally wake up it will be an unpleasant surprise to find how much and how many of life’s small pleasures they have been locked out of. By then, as we will likely see with the right to climb Ayers Rock, it will be too late to change anything. Slowly, one nibble at a time, the things we took for granted as Australians — Australians of all colours, races and backgrounds, I hasten to add — are eroded and the heritage that binds all of us to this land is diminished and dismissed. This book, A Guide to Climbing Ayers Rock, was born out of a deep and boiling rage that something as wonderful and awe-inspiring as the simple act of walking up a hill in the middle of nowhere could be closed down by a bunch of weak-kneed, passionless politicians, dead-hearted bureaucrats, and a few selfish land owners who have forgotten the wise words and actions of their elders. I speak here of earlier generations who graciously shared their home and stories with so very many tourists and helped make the visit to Ayers Rock something magical. The reputation the Rock has gained as a place of wonder is partly due to these more enlightened custodians from the recent past who also climbed their Rock and were happy to see visitors do likewise. You don’t have to dig very deep to find out that almost everything Parks Australia and the Uluru Park Board say about the climb is utter make-believe. It’s as if they exist in a universe where history only started in 1991. That was the year Australia was first fed the furphy that locals never climb “their rock”. My book, I hope, will go a long way to set the facts straight and provide a foundation to allow a full, frank and open debate to finally take place. Here’s hoping that logic and reason win out and the proposed ban is lifted so millions more can share in the joy and wonder already experienced by the seven million-or-so who have already climbed to the summit of this grand sandstone monolith at the very heart of our country. Everyone I spoke with who has climbed the Rock seemed re-energized by the act of recounting their experiences. I found it difficult — impossible, really — to reconcile the wonder of their adventure with the sanctimony and misery of the new rules at Uluru. At times, when I was struggling to collect facts and figures, or deciding if to ignore or answer outrageous and irrational taunts from people unable to separate the simple act of enjoying the natural world from the politics of race, I would recall those joyous accounts and be invigorated. My book is dedicated to all who have climbed the Rock, and especially to former head ranger Derek Roff, who successfully managed the Park for 18 years between 1968 and 1985, a time of dramatic political and social upheaval. Also, to Anangu man Tiger Tjalkalyirri, who was one of the first climbing guides and entertained tourists into his old age. Their common sense, good humour, patience and understanding have been missing from the Red Centre for far too long. As an example of the misinformation put out by the park board let me cite Lou Borgelt’s 1946 film footage showing Tiger Tjalkalyirri, Mitenjerry Mick, Lou and his mate, Cliff Thompson all splashing about and dancing in the puddles on the plateau summit and joking about at the small pile of rocks that used to mark the Rock’s highest point. Board Chairman Sammy Wilson (right) has dismissed that footage out of hand, also slandering Tiger’s memory by accusing him of “chasing a white­fella” for money and, to compound the slur, of allowing himself to be brainwashed. What utter nonsense! Tiger Tjalkalyirri was an extraordinary Australian. To get a glimpse of his character I recommend reading his entry in the Australian Dictionary of Biography. Tiger was a proud Anangu man and played a pivotal role in participating in the land rights claim that resulted in the hand back of Ayers Rock, he died just prior to the handover in early 1985. The National Library has recordings of Tiger singing in Pitjantjatjara; telling legends of Uluru and Kata Tjuta; bush tucker; tribal lifestyle and history. It seems that Mr Tjalkalyirri’s interpretation of Tjukurpa, the Aboriginal religion, differs markedly from that of the current Board. As Mr Tjalkalyirri had lived a traditional life it can be argued his interpretation of the rules surrounding access to the summit that provided access to non-Anangu visitors is the correct one — a view also shared by Principal Owner Paddy Uluru and other senior Anangu men. Paddy famously stated “if tourists are stupid enough to climb they are welcome to it.” He also said “the physical act of climbing was of no cultural interest”. It is a great insult to suggest Tjalkalyirri was “brainwashed”. The chairman of the board should apologise for slighting this man’s good name and intelligence. Recently, The Australian reported on a claim I have lodged with the Australian Human Rights Commission that argues the climbing ban breaches the Racial Discrimination Act because it will allow Anangu to make the ascent for “cultural reasons” while non-Anangu visitors will be unable to celebrate their cultural heritage by doing the same. While the total ban on climbing is not to begin until 2019, park authorities have been using every and any excuse to limit access. You know, of all the indigenous people that I have worked with _ _ in fact, I’m thinking, at the moment, I should say that of all the people that I have worked with, Paddy Uluru stands out. 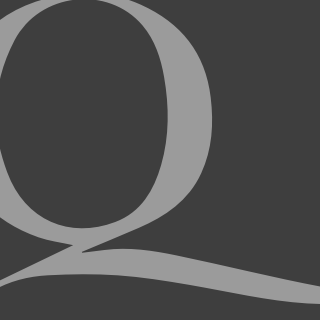 He stands out with knowledge, the gift of friendliness. He was a mighty man. I haven’t got the words. You know, he really was a tremendous person. And everybody respected him. The Aboriginal people respected him very much, and I certainly respected him very much. 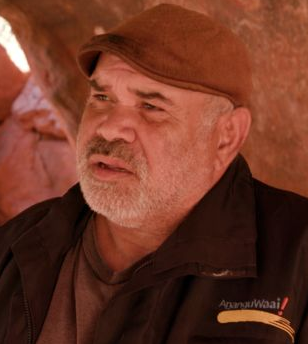 Derek Roff was pivotal in closing off public access to the men’s initiation cave, at Paddy Uluru’s insistence, and for facilitating the return of Aboriginal people to the their traditional lands. He was entrusted with Aboriginal sacred artefacts, an expression of that mutual trust and respect. 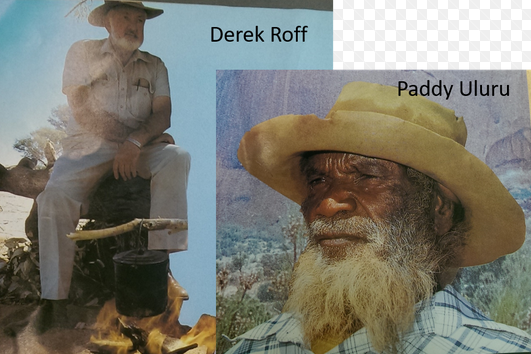 The suggestion that Paddy Uluru was intimidated by Derek Roff is both insulting and utterly ludicrous. The Board Chairman owes both men an apology. Indeed, as I hope those who read A Guide to Climbing Ayers Rock will come to understand, the Board and Parks Australia owe the whole world an apology for their ridiculous, unjustifiable decision to ban the world’s most iconic nature walk. 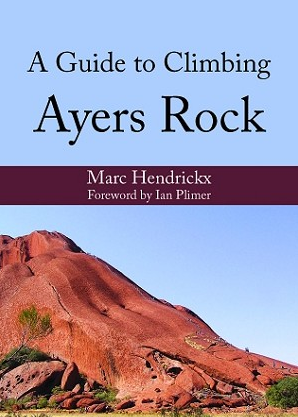 Marc Hendrickx’s A Guide to Climbing Ayers Rock is published by Connor Court and can be purchased here. I am outraged by any ban or other sneaky move to climb Ayres Rock (Uluru). It is a monolith in the desert and is there to be climbed, just as is any other mountain. I’m a Territorian who lived at Alice Springs for decades and visited Ayres Rock/Uluru on numerous times for pleasure and work. I can’t recall ever having seen local indigenous climb the rock with the sole exception of a ranger. It’s the sort of thing one only needs to see and do once in a lifetime and climbing to the top is the pinnacle of the experience. If the ban remains, tourism will drop as will the associated revenue/income of the local businesses. These consequences are forseeable.